I’m not going to go into every detail, but just focus on some recent highlights for this post. 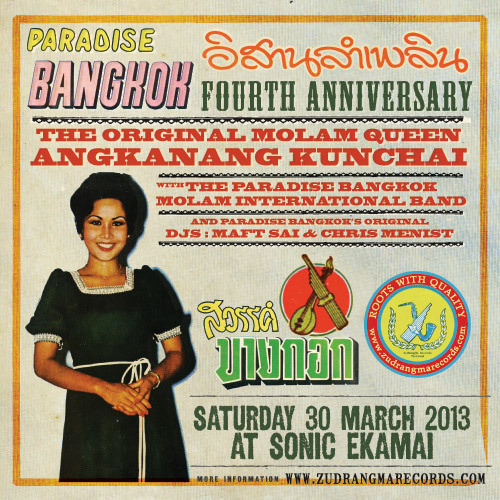 The biggest for myself and the Paradise Bangkok project have been the two European tours of The Paradise Bangkok Molam International Band in 2013 and 2014, and the release of our LP ’21st Century Molam’. The two tours, which both took place prior to the LP release, were full of amazing surprises, as people got down to an unknown band playing music that was little known on a global scale. One personal highlight was Off Festival in Poland, where we had to take Solange Knowles’ place at short notice! It’s amazing how far we’ve come from those early gigs, and how much we’ve gelled as a unit over the course of two years. We should have some more tour news for 2015 to announce soon. Our 5th Anniversary was also pretty special, getting on stage two musical legends in the guise of Kwanjit Sriprajan and Yenjit Porntawi. As with the 4th Anniversay with Angkanang Kunchai, these were amazing one-off events, and for the band to share a stage with these vocalists was a real privilege. 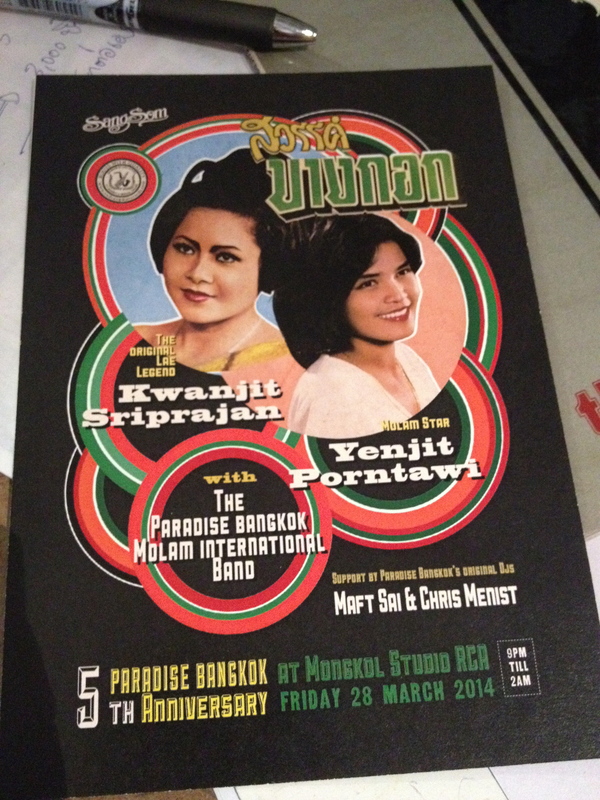 Time running and passing…had meant to post an update before now, but as I’m heading to Bangkok tomorrow for our 4th Anniversary party, I realised I posted nothing about the last event in November, which saw the live debut of The Paradise Bangkok Molam International Band. 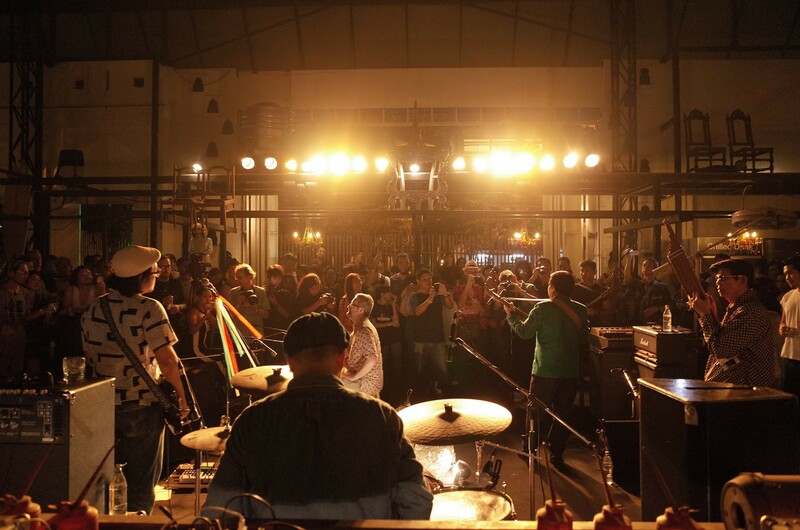 Made up of a Bangkok based rhythm section and two molam veterans from Isan on phin and khaen respectively, the band took to the stage to great acclaim, and will be backing the mighty vocalist Angkanang Kunchai on the 30th March. In addition PB003 (third release on the Paradise Bangkok label) came and went, and we’re just waiting for the arrival of PB004! I’m not usually prone to ‘end of year’ charts and musical reflections, but an email from Boomkat asking for a 2012 Top Ten prompted me to rifle back through my record boxes and remind myself of various purchases over the last 12 months. It’s fair to say that it’s been an absolutely great year for music. I suppose every year is, on reflection, but this is the first year I’ve had since leaving Asia where I’ve been able to monitor (not to mention purchase!) a year’s music as it unfolds. It’s true that it might be harder to sell the same quantity of units than it used to, but in a strange way this has almost freed up people’s creativity, and risk taking. Maybe if there isn’t the same commercial pressure, people are left to focus on their artistry. This in turn produces a more integral product, and overall, a more satisfying musical landscape when viewed with hindsight. It might be a bit tougher to make a living, but if quality and imagination soar as a result, maybe this is something we can deal with in the long run. I focused on new releases, although some of those are archival. In addition I’ve drawn up a ‘vintage’ Top Ten of new discoveries of old tracks that peppered my DJ sets this year, whether playing with my spar Maft Sai at Paradise Bangkok, or elsewhere. Julia Holter’s ‘Ekstasis’ LP is pretty far removed from my usual listening fare, but there was something about its musical simplicity and haunting poetry that kept it on heavy rotation throughout 2012. It’s impending re-release on Domino will doubtless introduce Holter’s talent to a deserved wider audience. ‘Strange Passion’ on Finders Keepers was definitely my comp. of the year. This collection of post-punk Irish music had a freshness, innocence and honesty about it that belied its age. The backstory of how the music was created in the difficult local landscape of the 70s and 80s, added to its weight. ‘Din’ by Fay pretty much sounded like nothing else, like a fevered compression of post-Timbaland rhythmic reductions. And even if you’re not into Columbian music, you should check the ‘Ondatropica’ LP. Simply put, nothing else sounded as good as this, this year. Recorded at the Fuentes studios in Medellin using vintage equipment, it’s direct mastering to vinyl with minimal overdub work, created a warmth and presence rarely witnessed in so many modern productions. That has to be a lesson for us somewhere as we head into 2013. You can never squeeze everything into a chart, so I’d also cite Raime’s ‘Quarter Turns Over A Living Line’, ‘Allelujah! Don’t Bend Ascend’ by Godspeed You! Black Emperor, The Can Tapes, Frank Ocean’s ‘Channel Orange’, Mark Ernestus & Jeri-Jeri, ‘Spiritual Jazz’ 3 on Jazzman, ‘The Hired Hand’ on vinyl, Pole’s rerubs of Roll The Dice, early glimpses of Jai Paul, the Sun Araw/Congos project, ‘Secret Enigma’ on Finders Keepers, Getatchew Mekuria’s latest outing with The Ex, ‘Neph/Phi’ by Klaus, and of course the new Burial….lucky for us listeners, the list goes on. New ‘old’ music wise, I’ve documented some of my finds on preceding blog posts, but in 2012 I was lucky to be turned onto great selections from Pakistan, East Africa & Indonesia, some new Thai gems from Maft Sai’s massive stock (check http://www.zudrangmarecords.com for the full picture) as well as lovely W.African LPs from City Boys Band, Kyerematen Stars, and too many reggae 45s to mention. 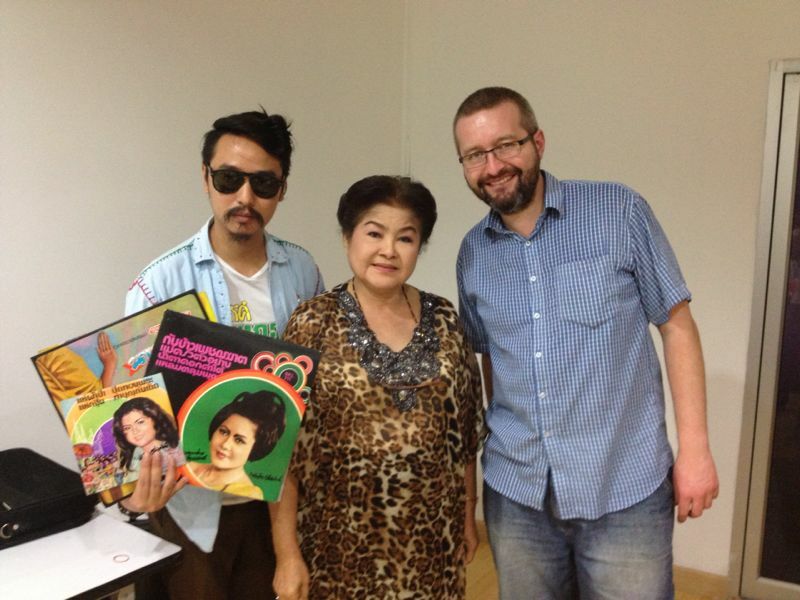 And of course, it was a thrill to get the ‘Paradise Bangkok’ label started. These charts and the accompanying radio show aren’t definitive, just a glimpse into some of my personal highlights this year. If it introduces you to some sounds that hitherto passed you by, then that’s all to the good. Merry Christmas, and a prosperous and healthy 2013. Right…after this, I promise to stop being such a slack blogger. A big year for us – after returning from Thailand, myself and Sarah had to start making preparations for the arrival of a new baby (Daniel – born in July), a relocation to London (August) and settling Ben & Ollie into their new school (September). I’m thankful to say all these events ran pretty smoothly, and we’re now ensconced in our nice little house in South London. It’s really nice being back, not least because we’re no longer in limbo. No longer preparing to go somewhere, no longer about to change our surroundings again and head back from another place. It finally feels good to be home, and whilst short-term trips are in the offing, we’ll be staying put for the time being. This makes it a good place to reflect on the past few years. We left for the UK in 2006 – I needed a break from music. 10 years of freelancing, and starting a family had given me a different slant on things. I accepted a full time job in Islamabad with an NGO I’d previously done some consultancy work with, and off we went. We relocated to Thailand later, after visa hassles and general insecurity in the country made it impractical to stay with two small children. 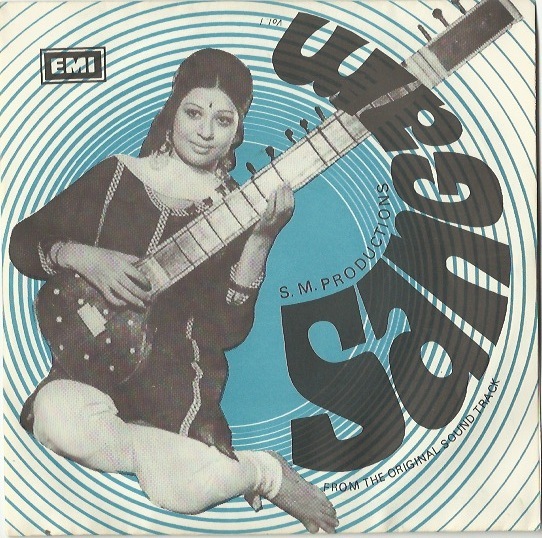 I’ve written elsewhere about getting in touch with EMI Pakistan during our stay, which resulted a couple of years later in the ‘Sound of Wonder’ and ‘Life Is Dance’ comps. on the always consistent Finders Keepers label in the UK. It’s a happy association that continues to this day, and a third exploration into the wonderful world of Lollywood is planned for next year. But there was something missing in the process. Via direct contact with EMI PK, we got access to their amazing archive which stretches back to Partition. On the plus side, it made the process of getting hold of the tracks, as well as the flawless masters, incredibly straight forward. Umer Sheikh, and archivist Iqbal Asif were always ready and willing to help us with our demands. However, there was never any real ‘digging’ involved. Whilst I would never romanticise this often fruitless task, it is still, for me at least, the most reliable way of building up an understanding of unfamiliar music. Two buying trips to Lahore had to be cancelled at the last minute due to security concerns, as well as a meeting with the great composer Tafo. I was additionally advised that vinyl that turned up at weekend markets in Karachi was generally in v. poor shape. Original vinyl and artwork were ultimately hunted down via the internet, but that comforting rummage through boxes to unearth the gems proved elusive. Thailand was the opposite – I was spoiled by the range of shops and opportunities to sift through myriad musical delights at my own leisure. 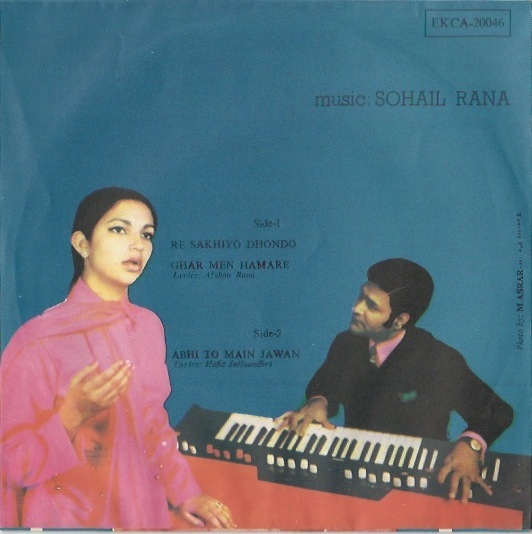 Whilst we were naturally thrilled with the end musical results of the Pakistani comps., that personal connection and research time was obviously not to be. 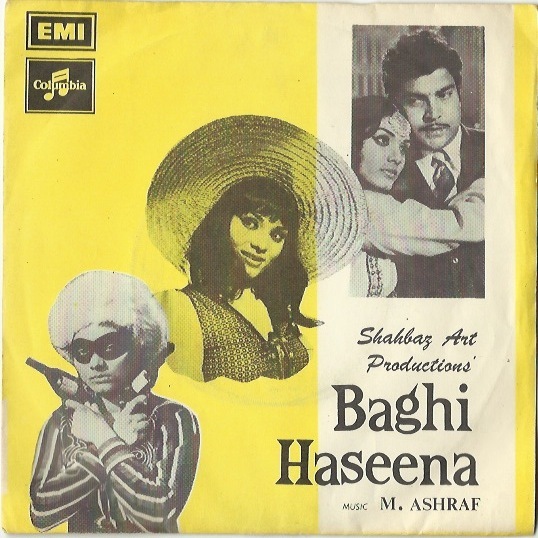 Imagine my surprise therefore, when I was contacted last year by a dealer about a large stock of 7″ Pakistani Eps, which he had acquired through a sound engineer. Better yet, the engineer had built up this collection as the music came out, recorded the tracks to tape for his own consumption, then never played the vinyl again. This was shop stock quality, something I’d never come across, even via Ebay. I had told myself that unlimited access to the EMI PK archive was enough, but naturally I couldn’t resist the opportunity to wade through boxes of the physical artefact! As well as picking up known tracks there was a host of music I’d never come across, and probably might have passed on, as the artwork wasn’t necessarily intriguing or the composer was little known. Why should a format matter so much? Surely it’s the music that counts. True enough, but whilst I’ll happily listen to digital files via my iPod, to hold the item in your hand, as it was originally presented to the public is still thrilling. I have nothing against digital – I am not a luddite, but ultimately, what feels better: an Athena poster or the original, signed and numbered print? I still DJ with vinyl. I believe it sounds better, and whilst it isn’t always convenient, I find it easier to relate to as I flick through my box, figuring out what to play next. Seeking out the original also matters, as it’s the most reliable way of seeing the music as it was first released and presented. You get an idea of how this music was experienced in real time, at the time the listening public initially got to hear it. It’s a form of archaeology, as it always informs you just as much about the context of the music, than just the vinyl itself. Ultimately it’s easier to form a relationship to something three dimensional, than with mere data. Currently up is a Lollywood special that showcases some of my recent finds, as well as future comp. possibilities. Happy listening, and see you again soon….honest! Well, time only seems to go in one direction, and it’s been far too long since my last post. 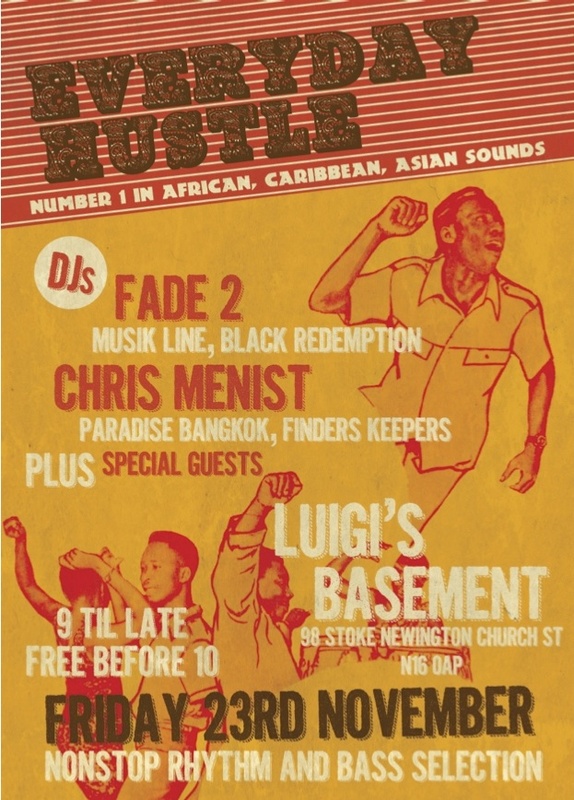 Things gather apace for a move back to London, as well as the next release on the Paradise Bangkok label. 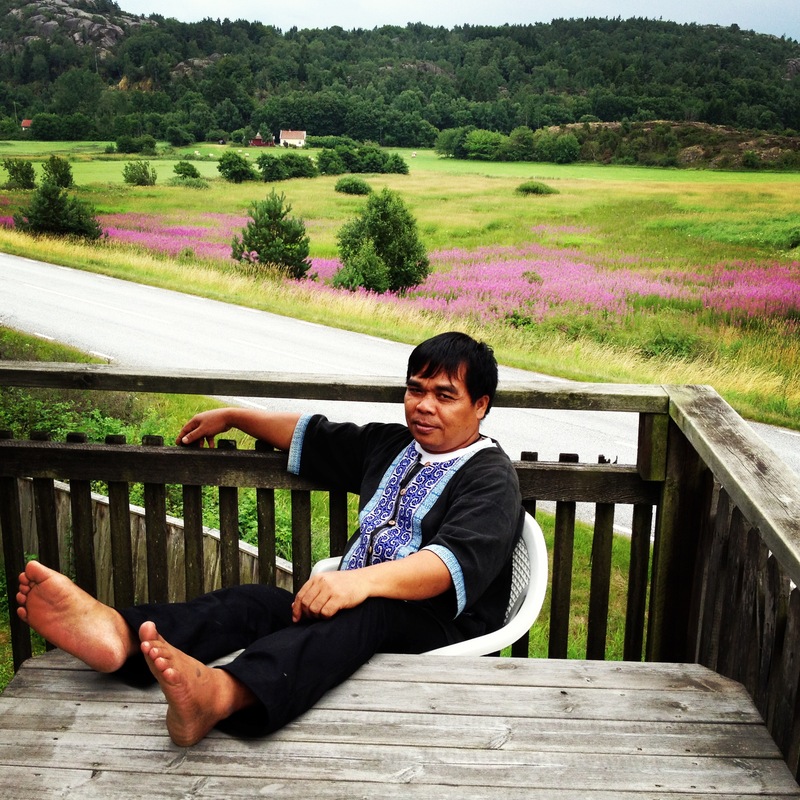 I have updates too, to write on Indonesia, and Pakistani vinyl…soon come. Before that though, I wonder if you’d check the mix below. I need over 100 listens to qualify for shortlisting, so feel free to share this with your friends, followers and subscribers. It’s strange being back in a place so different from the small village in Nottingham I’ve temporarily relocated to, and yet find it so familiar. Bangkok’s streets are still a sweltering uneven mass of concrete crowded with sellers of every type of Thai cuisine imaginable, dogs, shop houses, the odd down-and-out, farang in bootlegged t-shirts, bike taxi gangs, and all the attendant drama of a major Asian city. Prior to coming out me, Sarah and the boys had gone sledging. A week later I’m eating at a pavement stall in my shorts and sandals. Everything is different, but our time here and personal knowledge of the city all comes back with clarity. The Paradise Bangkok 3rd Anniversary had been a huge success. It was a much bigger affair than some our more intimate parties, but the band really tore the roof off, and seemed as overwhelmed as us from the crowd, (mostly foreigners and Bangkok Thais) and their reaction. It was the first gig they’d played in the city for nearly 40 years, and they buzzed through their repertoire with confidence and swagger. It was extremely satisfying and for the ensuing days me and Nat regularly bumped into people who had been in attendance, whether it was at the bar next to the ZRM record store, or, most suprisingly, in a French creperie uptown. All the feedback was positive.